Trading is as much about psychology as it is about developing a solid strategy. Without the mental fortitude to stick to a strategy, the most effective strategy in the world won't do much good. Successful traders not only master a strategy, but they also take charge of their own psychology and develop traits (such as discipline and patience) that allow them to implement their strategies. A variety of books can help traders take steps toward mastering their psychology from an investment perspective. Written by Mark Douglas, this is a must-read for anyone who is struggling to attain consistency in the market. The author provides a roadmap for overcoming many trading issues. This includes addressing personal inclinations to seek short-cuts, being easily swayed by fear or greed, and getting distracted. These traits often cause traders to act irrationally even when they know better. In simple language, the book explains why and how these issues occur, and what to do about it. While it is a trading book, the material does not provide strategies on how to trade. It is recommended that you seek trading expertise elsewhere before reading it, so you can fully grasp the topics covered. "The Disciplined Trader" is another popular book by the same author. Even classic books can maintain their relevance over several generations. First published in 1923, this book by Edwin Lefevre is based on legendary trader Jesse Livermore. Combining rich storytelling with a deep insight into what it takes to trade successfully (and what can ruin a trader), the material can be read over and over again, offering insight each time. No matter if you are already seeing positive results, doing poorly, or just starting your trading journey, this book has something for everyone. This book follows the trading career of a life-long trader, providing insight into struggles you may have faced already, or have yet to encounter. Written by Ori Brafman and Rom Brafman, "SWAY" is a rare "page-turner" in the non-fiction space. 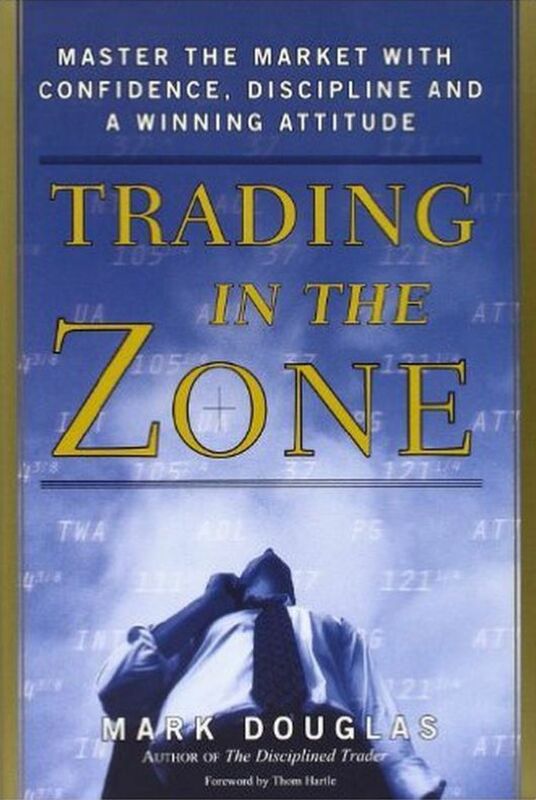 This book tackles problems many traders are aware of yet seem powerless to prevent. This includes why it can be so hard to get out of a losing trade and even why people stay in personal relationships even when it is not healthy for them. The book also explores issues people are often unaware of. This includes how danger and risk affect the decision making process, which is relevant to facing the risks in the financial markets. The material also addresses such issues as diagnostic bias and the "Chameleon Effect." These tendencies respectively represent an inability to see beyond an initial hypothesis despite evidence to the contrary, and a person's habit of taking on traits that are assigned to them. All of these psychological quirks can have a substantial affect on traders. The research and anecdotes in this book can also teach the reader about hidden motivators that drive decision making, which in turn may help them make more informed decisions as a trader. Written by Rolf Dobelli, this book presents its content in a concise manner across 99 chapters, each only two to three pages long. The chapters provide examples of psychological pitfalls everyone, not just traders, can fall into. Reading the "Market Wizards" book series by Jack Schwager is well worth the time investment. Each book is composed of interviews with top traders. The interview format is very informative and provides you with insight on how each trader invests in markets, as well as the trials and tribulations they have overcome. Engaging and informative, these books contain something for everyone. From strategy tips to overcoming hurdles, these are timeless books that can be read over and over again. The series is composed of "Market Wizards," "The New Market Wizards," "Hedge Fund Market Wizards," and ​"The Little Book of Market Wizards." Easy to read yet packed with powerful information, Jake Bernstein provides a thorough guide on why so many traders fail because of their psychology. The common problems most traders have encountered are revealed, followed by tactics and strategies to overcome those issues.